If you’re looking at losing weight, then creating a personalized diet plan can be the way to go. It’s easy, free, and puts you in control of your own diet journey. This guide has everything you need to know about creating a plan, and helping you stick with it. Why Use A Personalized Diet Plan? There’s several different reasons why you might want to create a diet plan. Everyone’s weight loss journey is different, and everyone has different needs. For example, you may be very active so need more calories than most dieters. You could have dietary restrictions that regular diet plans don’t address. Whatever the reason, a personalized diet plan can fit you just right. They’re easy to put together, and you can see exactly what you should be eating every day. Unlike regular diet programs, you can ensure that you’re eating enough to feel satisfied, and you won’t miss out on everything that you love. As you can see, it’s the best way to diet. 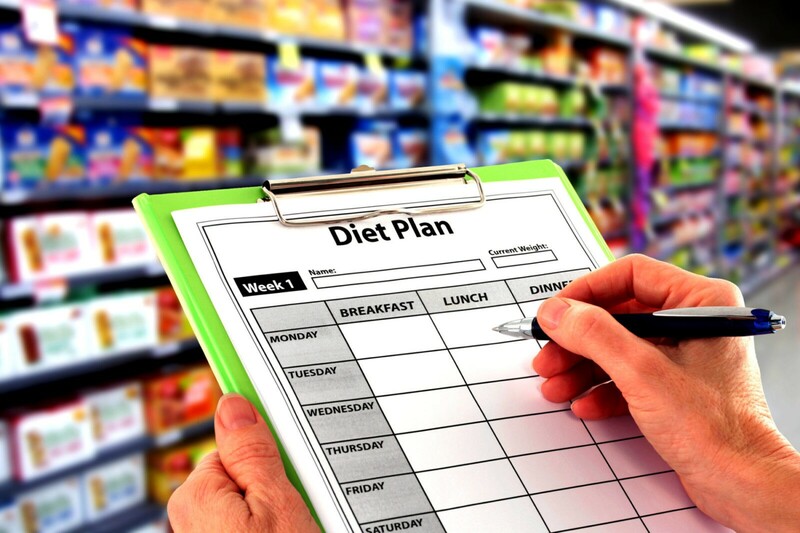 What Is A Diet Plan? A diet plan is a roadmap of what you’ll eat for every meal. This doesn’t mean that you’ll be planning your meals down to the lat detail, but you will look at what goes into your meal. It helps you be more mindful of what you’re eating, and makes sure that you’re eating the right portions. Before you start making your own diet plan, it’s a good idea to speak to a dietician first. As mentioned earlier, everyone is different when it comes to their weight loss needs. You may need something different to the example plans you’re seeing online. “The dietician will assess your current diet, activity, and goals, and then run you through what you need to do. They’ll suggest how many calories a day you need to be eating, and what size portions you’ll need,” says Gloria Kopp, editor of StudyDemic. They can even suggest foods that could be good for you, given your current health and other needs. Eat This Much: This online app is fantastic for dieters. All you need to do is put in how many calories you want to eat, and in how many meals. You can even specify what kind of diet you stick to. Then, click ‘generate’ and it’ll give you a meal plan packed with tasty foods. Custom Food Planner: This tool will help you work out how much you should be eating with each meal. Put in your details, including your height and weight, and it will give you all the numbers you need to work with. Atkins Plan: The Atkins diet has been popular with dieters for years now. If you’re looking for a way to lose weight, this site gives you detailed and easy to follow plans to use. Now that you have all the tools in place, let’s create your diet plan. First, you’re going to need to know what types of foods should be in your plan. In each meal you could have up to four food groups included in it. For example, for breakfast, you may have two different proteins and one fruit. For dinner, you could have one protein, one grain, and two vegetables. Protein: Women: 1 palm size amount. Men: 2 palms’ worth. Vegetables/fruit: Women: 1 fist sized portion. Men: 2 fists’ worth. Carbohydrates/grains: Women: 1 cupped hand’s worth. Men: 2 cupped hands. Healthy fats: Women: 1 thumb’s worth. Men: Two thumbs. These, of course, many differ depending on your needs. Now that you have these essential numbers, it’s time to create your plans. Using these and the tools above, you’ll create daily or weekly plans that will suit your needs. For example, here’s what one day could look like if you’re on a 1200 calories a day plan. The last thing you’ll need to do is find foods that will suit your needs. The above tools will help you find interesting food combinations that will keep you full while you’re losing weight. While you’re on a diet plan, you’ll need to find new ways of eating that will be much healthier for you. Here are some tips that can help you on your way. Drink more water: You’ve heard it before, but that’s because this tip works. Try drinking a glass of water with every meal, and you’ll soon see the difference. Don’t skip breakfast: If you do this, you’ll know that by lunch you’re hungry and will eat anything. Stick to the plan and you’ll be fuller for longer. Keep saturated fat and sugar out of your diet: These foods aren’t nutritionally beneficial, and won’t help with weight loss. Now you have all the tools to build yourself a diet plan. You’ll find dieting is much easier than you’d think.